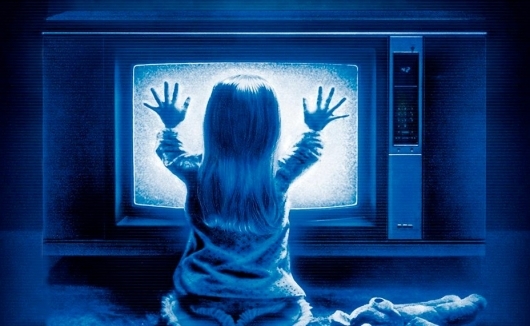 If you’re a fan of the original Poltergeist movies, not including the recent remake, chances are you’ve heard of something called the “Poltergeist Curse.” The curse is born from the fact that multiple cast members passed away in and around the production and releases of the original trilogy of movies, Poltergeist in 1982, Poltergeist II: The Other Side in 1986, and Poltergeist III in 1988. One theory behind the existence of this supposed curse is that the use of real skeletons in the filming of the first and second films could have stirred something up. Now a documentary is being made that takes a closer look at the Poltergeist Curse. The documentary, officially titled The Curse of Poltergeist, is being directed by Adam Ripp, whose company Vega Baby will finance and produce alongside the Indonesian-based company MD Pictures. The documentary will follow Oliver Robins, the actor who played Robbie Freeling, the brother and middle child of the family in the first two movies, focusing on his life and experiences as a way to explore the tragic deaths that are associated with the curse. The most notable of the deaths associated with Poltergeist is Heather O’Rourke, the young daughter Carol Anne in all three original movies in the franchise, who passed away in February of 1988—about half a year before the release of Poltergeist III—at the age 12 during surgery to repair an acute bowel obstruction. Other names associated with the curse include Dominique Dunne, who played the eldest daughter in the first movie and was murdered in November of 1982 at the age of 22 by her ex-boyfriend; Julian Beck, who played Henry Kane in Poltergeist II and passed away in September of 1985 after a battle with stomach cancer that was diagnosed before he even accepted the role (making it not likely “curse” related, if you believe in such things); and Will Sampson, who played Taylor the medicine man in Poltergeist II and died of post-operative kidney failure and pre-operative malnutrition in June of 1988. An episode of E! True Hollywood Story was dedicated to the curse in 2002.